An aerodynamic-conscious F-body redesign for 1982 sporting hideaway headlights up front did away with the Tran Am's familiar shaker hood scoop entirely. Two 5.0-liter (305 cubic inches) V-8s were offered for the sleek, slippery '82 Trans Am, with the base version crowned by a conventional four-barrel carb. The optional LU5 5.0-liter was fed by GM's innovative Cross-Fire Injection. Yet another black-only special model, the Recaro Trans Am, debuted in 1982; a 15th Anniversary model followed in 1984; and the coveted GTA package appeared in 1987. Called the “ultimate Trans Am” by Pontiac, the latter featured a long list of standard performance and appearance features, including a 210-hp 5.7-liter Tuned Port Injection (TPI) V-8. Base Trans Ams and GTA Trans Ams continued working in concert up through 1992, the last year for the third-generation Firebird. 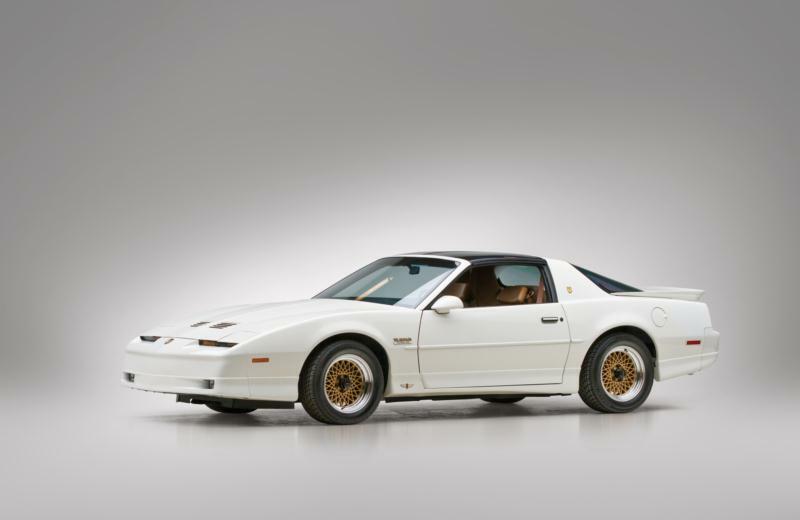 A 20th Anniversary Trans Am, done only in white, was released in 1989 with a turbocharged 3.8-liter V-6 beneath its hood.